Home » News » What to do in Paris? Sun is in the sky, summer’s warm breeze is blowing, the Office of Tourism and BVJ Youth Hostels in Paris welcome you with open hands and suggest for a plenty of events and festivals here in Paris ; an accommodation in Roland Garros, Music Festivals, European night of Museums… You will find everything you expect ! Paris is a trip ? Most of the concerts are outdoor, so make the best of it. Villete Sonique, a festival full of life would be back in Parc de la Villette from the 06th until the 9th of June. Next destination is “Le Bois de Vincennes” with We Love Green and their ecological conquest for the 1st and 2nd on June. Are you ready for some Jazz, two event that are highly recommended for you. Get ready to shake it off at the Jazz Festival in Saint-Germain-des-Prés (16-27 Mai). 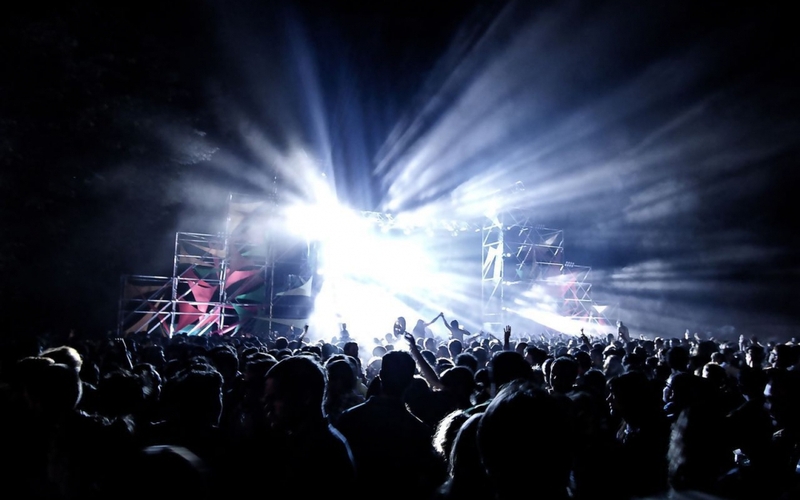 Another event that you should not miss is Jazz Festival Paris at Parc Floral along with Musicora 2019 (03-05 Mai) which would rock La Grande Halle de la Villette presenting the biggest showroom of Music Instrument in France. 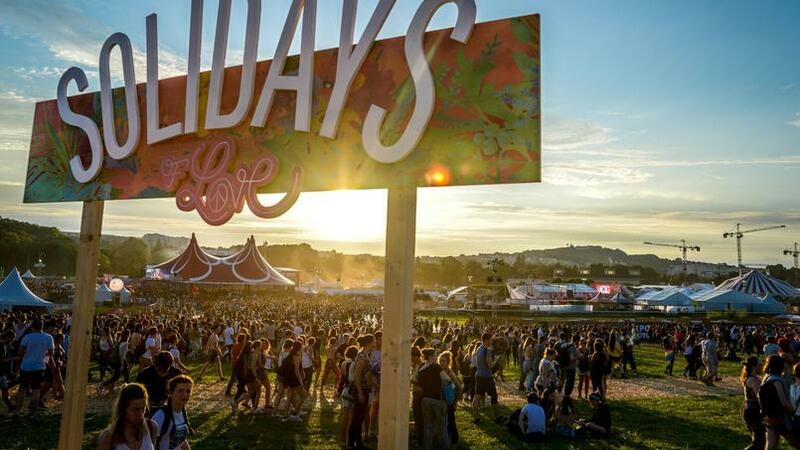 Solidays, one of the hottest days of the summer, so why not enjoy some outdoor sport in “Hippodrome de Longchamp” (to be planned later). In the program also a bombshell bringing together some rock music, Pop and electro music. Never Miss the Festival of Musique in Paris. 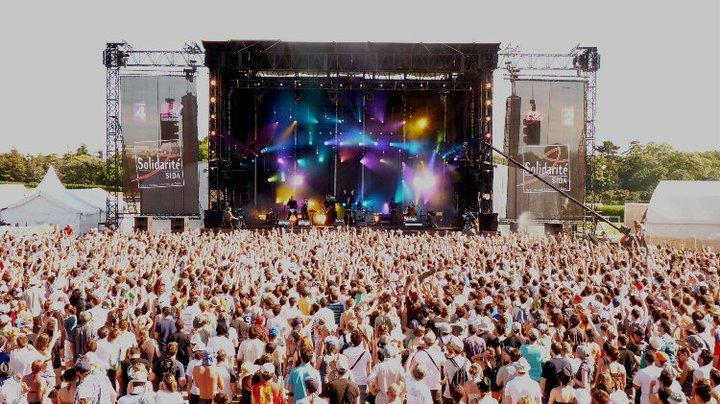 Another huge event which is the Music Festival of Paris, on the 21st of June, that greats the summer with fanfare. Along with free festivals in one of the key points in Paris. Feel free to hear any type of music you love. What a coincidence, it would match the longest day of the summer : so prepare yourself for the longest harmonious day of your life. Thanks for a visit to the Palais Garnier… to l’Opéra de Paris : the world of drama opens its hands for you. All the sessions would for free in a week-end through the different Opera houses in Paris that participate in these events. Outdoor Operas from June to September (accurate date to come), a place in which the prestigious classical plays meet with a contemporary lyrical curiosity. At Château de Versailles, enjoy the Grand Fountain Display (les Grandes eaux nocturnes) and see the Royale Sérénades of Ice Galery which shakes Roi Soleil’s big room. (15 June- 14 September) : just the best shows at the Palace of Versailles. Mai and June would be the months you explore those showrooms in Paris. Louvre Museum would be the avant-garde with it’s a show room dedicated for the Archeology of Forgotten Kingdoms Heirs of the Hittite Empire. (2 Mai- 12 August) And, if your looking for more ancient history, Pompidou Center would offer you an archaic vision and its more contemporary architecture with : The Pre-History (08 Mai -16 September). Since many contemporary artists like Picasso, Miró, Klein, Giacometti and Dubuffet were influenced by the Wall Art or was is known as Cave Art. At l’Orangerie Museum, the American painter Alex Katz who introduces The Monet Nymphs in a series of his paintings (14 Mai- 2 September). 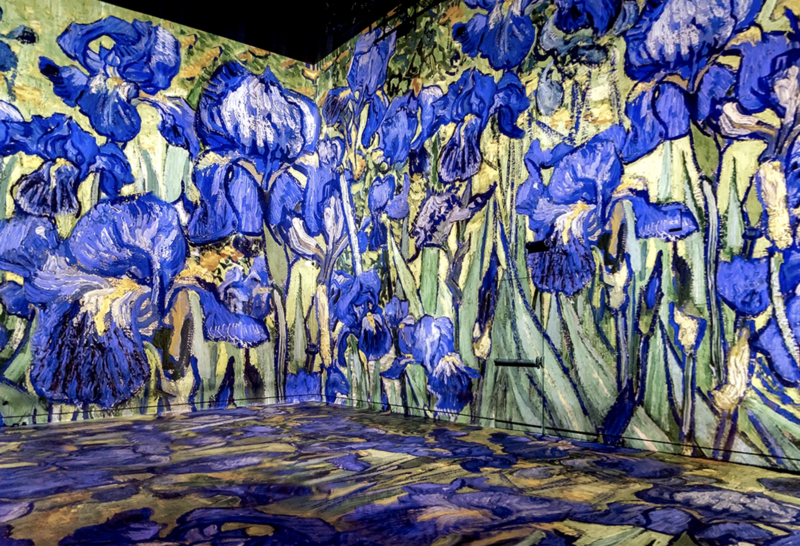 It was from this motif that he produced a series of paintings in homage to Monet’s Water Lilies. At the National Museum, Eugène Delacroix, would overwhelm you with his passionate universe through a workshop entitled “the creation of a work of art”. This summer the season of show rooms would be started Pompidou Centre with its monographic expositions. Starting by the works of Bernard Frize, (29 Mai – 26 August) then a tour in the section of Dora Maar photographs. Ending the package, with the outstanding creative art of Picasso. (5 June- 29 July). Last but not Least, feminine art which would be welcomed in Orsay Museum with unprecedented retrospective of Berthe Morisot (1841-95). Degas, Renoir et Monet and Berthe Morisot would leave breathless with their impressionist works that give a feminine outburst. The weather is getting warmer, Paris is preparing itself for some sport. 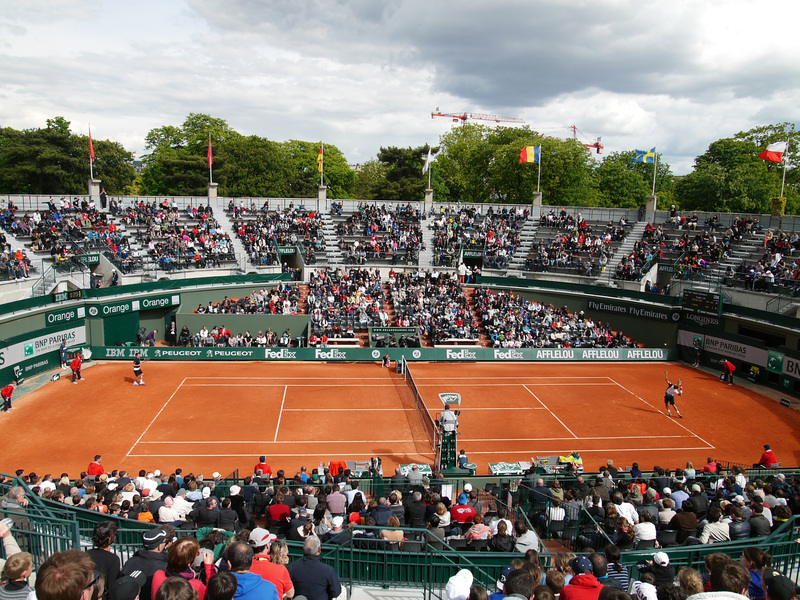 For the lovers of tennis’s clay courts, get ready for the French Open “Roland Garros” which brings together many of the famous tennis players in “Porte d’Auteuil” (26 Mai- 09 June). If you a fun of horse races? Buckle up for a fast ride with the famous 23 obstacles of Paris’ Grand Steeple-Chase 18 to 19 Mai at the Hippodrome of Auteuil, Hippodrome of Chantilly (60), and the Jockey Club Prize which come at galop 3rd of June along with Prix de Diane Longines 16 June. List of event still to come, on the Saturday 15thof June come and join us at Stade de France for the Finals of Rugby Top 14 teams. It would be the All-stars day. We conclude our list of sports with some Golf : enjoy the French Open at the green golf course in the Nation Golf in Guyancourt at the end of June. In Mai, the museums would lit their stars for the European nights of museums on the 18thof the month. Seize the night to discover the amazing nocturnal animation that would take place in some the museums of Ile-de-Paris region. Also, to discover the finest of artisanal art, take a look at Revelations, the International Fine Craft & Creation Biennial which takes a fresh look at contemporary creation at Grand Palais 23 to 26 Mai. For the month of Mai, you are invited to have a taste of the French gastronomy, at Grand Palais (09-17 Mai). At the table, you would taste different dishes and also meet the chefs and also participate in culinary shows. For those who have a sweet-tooth, we deliciously invite you to a pastry show in Paris from 14thuntil the 17thof June in Paris at expo Porte de Versailles. 30 June-03 July, come to have some cinema for low prices at the Cinema Festival, the tickets are at 4€. 29 June, have a walk with the LGBTQ pride march. A march that would bring forth more freedom for those who feel discriminated or mislabeled. A colorful caravan that would tread with music and love. For Mai and June, Music is in the air in Paris with numerous concerts to come. Its starts with some rock featuring the legendary group Metallica who would flame le Stade de France on the 12thof Mai. Next, would be the turn Giorgio Moroder with some disco music live in the Grand Rex on the 12thof Mai. AccorHotels Arena is stepping forward by animating two amazing night with two true legends: Lenny Kravitz in Paris on June on 5th, and Elton John on June the 20th. For those who would like to swing a bit, you are invited to la Grande Halle de la Villette to enjoy the Belgium choreography of Sidi Larbi Cherkaoui adapted by the National Ballet of Flanders (26- 19 June). Finishing big with some Opera, the Bastille Opera suggest a classic to enjoy which is The Magic Flute by Mozart featuring the Orchestra and the Choirs of the National Opera of Paris (27 April- 15 June). The festivals begin with “les Pestacles” at the Floral Parc of Paris in Bois de Vincennes. The program would feature many concerts, shows and a Circus. For a family holiday in Paris, do not miss la Fête foraine in the Tuileries garden. The site would feature 60 differents attractions in the center of Paris. For the funs of astrology, the Planetarium in Palais de la Découverte offers the chance to discover how the eclipses are formed, go around the stars and the galaxies, also a travel to moon and through the solar system. 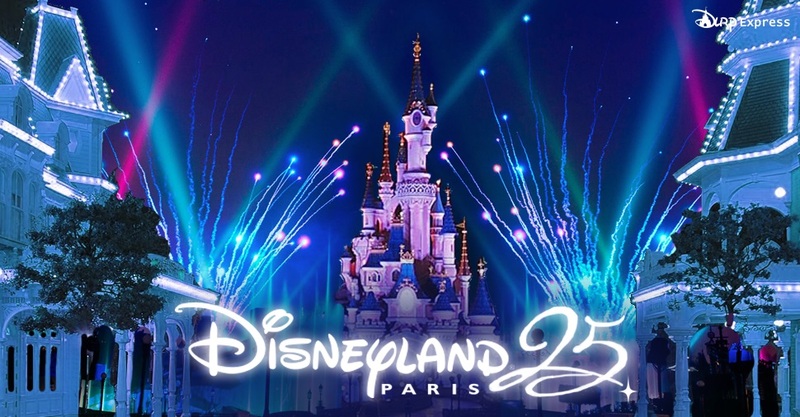 At this season, the magnificent Disneyland Paris would gladly gather you with your Marvel Heroes in its Season of Super Heroes (23 Mars- 16 June). Come and have some fun with many shows and animations both for the young and adults. Would you like to have a good deal? Summer discounts are coming back in Paris. Book for you stay in one of the first Parisian Youth hostels in the region. BVJ hostels in Paris are all very well located : Opéra-Montmartre, Quartier-Latin, Champs-Elysées Monceau, Louvre-Rivoli. The Hostels are part of the Parisian History with their remarkable architecture… with a low price for a night + a French buffet breakfast for free…with coming discount until 50%… so what are waiting, BOOK NOW!